Purpose-built platform for digital transformation and collaboration. All signs point to a continued adoption of digital transformation in the cloud. As organizational strategies mature, many businesses will also look for more refined alternatives. Specifically, people like you are looking for digital transformation through cloud services that are natively equipped to handle the advanced requirements of enterprise workloads. That’s where the CenturyLink Cloud fits in. Whether you’re looking to offload a few virtual machines or migrate a larger chunk of your data to the cloud, our infrastructure and management tools offer you a more enterprise-ready path. CenturyLink's simplifies digital transformation through a suite of cloud services – infrastructure, Runner infrastracture automation service, and powerful built-in cloud management capabilities – that are designed to support a variety of business apps. Virtual servers from CenturyLink Cloud offer native load balancing and other features to ensure maximum uptime for your online properties. Our products offer stringent security and compliance for online payments and user data. Our infrastructure automation tool, Runner, facilitates provisioning, interaction and modification of IT environments, in any cloud or data center. Creating new apps without violating IT policies can be harder than it looks. This is the ideal scenario for CenturyLink Cloud, since our platform natively includes many features that other cloud providers require you to piece together from different vendors. With our suite of cloud products, you're able to achieve cloud scale, elasticity, and self-service without compromise. CenturyLink's high-performance, secure infrastructure - backed by a 99.99% SLA - supports the most demanding database applications. Storage options include support for up to 20,000 IOPS, resulting in superior performance. Move applications from an internal data center to the CenturyLink Cloud. Our product catalog features numerous offerings to ensure compliance with existing IT policies, as well as support for secure networking via VPN and Direct Connect. Host your messaging and collaboration applications – SharePoint, Exchange, Lync, and more – with confidence on CenturyLink Cloud. Highly elastic and scalable infrastructure supports large enterprise deployments. Software-as-a-Service applications are an obvious fit for Cloud. 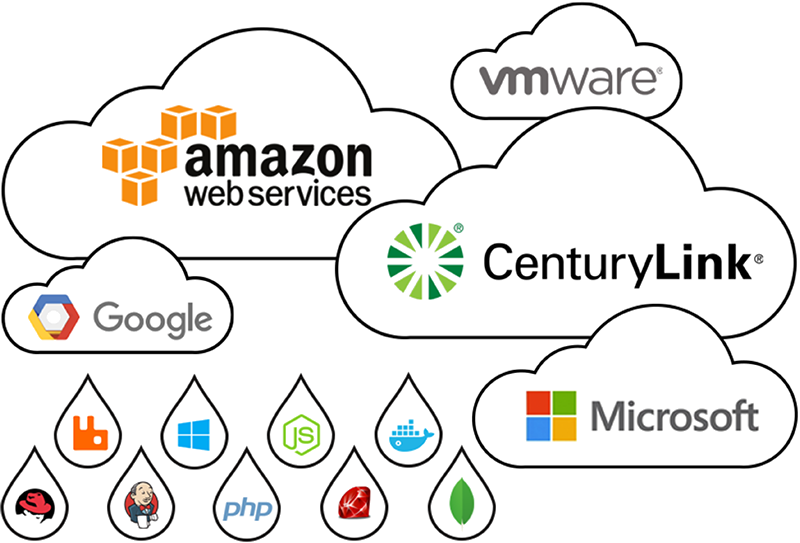 CenturyLink Cloud offers the scale, reliability and orchestration tools that SaaS implementations demand. Cloud Application Manager facilitates customer IT transformation by orchestrating the delivery of infrastructure, applications and services across multiple clouds. Manage any infrastructure from a single interface by utilizing the platform's inherent features, including Application Lifecycle Management, as well as Managed Services Anywhere and deployment of CenturyLink Private Cloud on VMware Cloud Foundation, Microsoft Azure, or AWS Cloud instances. 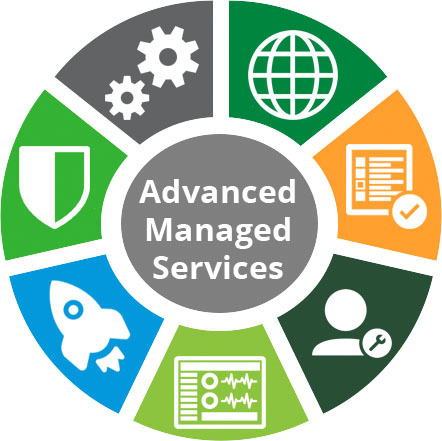 Cloud Appplication Manager offers two levels of support: Managed Services Anywhere or Platform Advisory Support. With Managed Services Anywhere, customers receive a higher degree of white-glove service and have access to the full Cloud Application Manager feature set. With Platform Advisory Support, customers have access to a designated Technical Account Manager for light advice and recommendations. CenturyLink Private Cloud on VMware Cloud Foundation is CenturyLink's next generation private cloud. It's a software-defined data center solution that includes software-defined networking and vSAN Storage to deliver a completely integrated, fully managed Hyperconverged Infrastructure-as-a-Service. Built on industry-leading technologies, this service offers deep flexibility to meet a wide range of private cloud requirements. CenturyLink Private Cloud on VMware Cloud Foundation enables full automation and self-service via vCloud Director and extensive APIs. 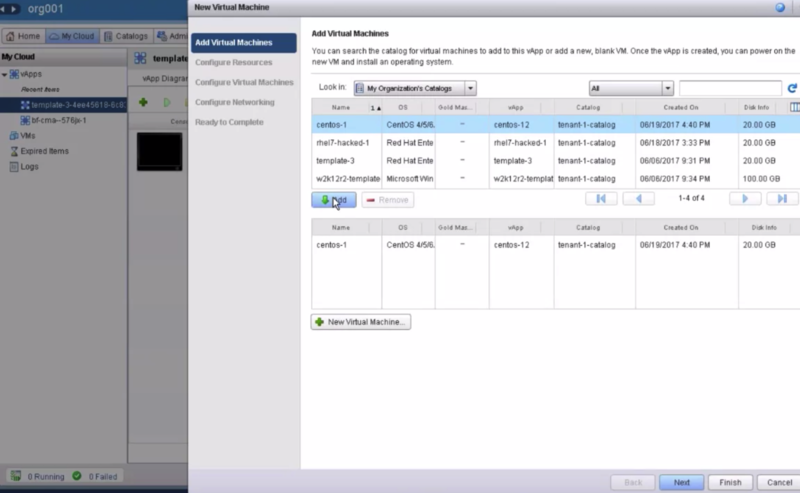 We even offer native remote console access - an IP-based KVM solution. Or, you can engage our expert management teams to implement and maintain your private cloud solution for the full "white-glove" treatment.